`Tis All Hallow’s Eve. The skies are grey and a chill wind blows. I’ve come across a few Halloween treats to offer today and so I thought I’d combine them all into one post. Enjoy! Hurricane Sandy blew an ancient oak tree over and workers found a skeleton intertwined within its roots. The Horror Writers Association has been running a series of articles all month long on all things Halloween. Head on over and read Lisa Morton’s piece on the true history of Halloween, my own piece on the ghost stories of M.R. James, or one of dozens of other short yet brilliant articles. Lisa Morton is a multiple Bram Stoker Award winner and one of the world’s leading Halloween experts. Her last book for Bad Moon Books, MONSTERS OF L.A., earned her a seventh Bram Stoker Award nomination, and the American Library Association’s READERS ADVISORY GUIDE TO HORROR recently named her one of the top five female horror writers. She lives in North Hollywood, California, and can be found online at http://www.lisamorton.com. Do you fall victim to one of the common misconceptions the public has about the horror genre? Our friends at Cracked.com have compiled a list of the creepiest places in the world. Mass suicides, churches made of bone, and entire abandoned cities. And you thought Aunt Irma’s house was creepy. 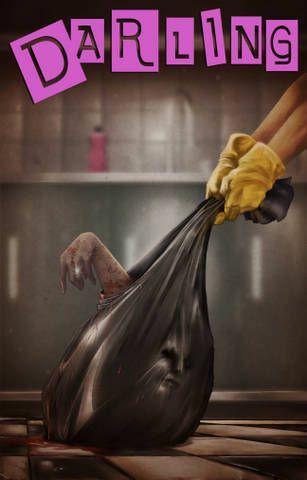 From Bram Stoker Award winning author Benjamin Kane Ethridge. June Nilman is a woman with thousands of personalities in her head and none of them are her own. Stricken with amnesia and trapped in a room in an abandoned hospital, her caretaker, Nurse Maggie, wants her to remain captive forever. At night June hears creatures patrolling in and out of the hospital, and in time discovers Maggie has mental control over them. In planning her escape, June has an extensive catalogue of minds to probe for help, but dipping into the minds of her mental prisoners is often a practice in psychological endurance. Escape seems impossible until June discovers a rat hole in the wall– the starting point of her freedom. But freedom in this war-torn world may be more dreadful than she ever imagined. 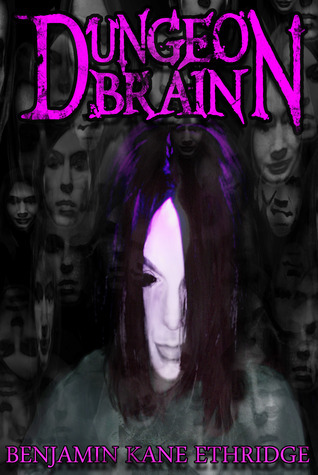 Dungeon Brain is a locked room mystery of the body and mind that expands across the realms of science fiction and horror. I am an unabashed fan of the classic ghost stories of M.R. James and feel that you should be, too. Check out this documentary on one of my favorite writers. Looking to get scared out of your mind tonight? See if you’re close to one of the best Haunted Attractions in the world. Check out this page devoted to my new novel DARLING, complete with a free preview chapter, a soundtrack, and the book trailer. Brad C. Hodson is a screenwriter and author living in Los Angeles. His new novel, DARLING, is available from Bad Moon Books. ← Roundtable Discussion: The Horror of it all! Thanks for the treats, Brad! Well that’s a generous bag of treats. You do realize that one could lose hours in the process of sampling everything you’ve offered, right? Ah, well. I’ll take some notes, then go feed my ever-expanding lists of must-dos. I was, at least, already familiar with the Cracked.com list … their Weird World section is one of my favorite places on the web. Ever heard of Poveglia Island? Poveglia is on my wish list of creepy travel destinations!